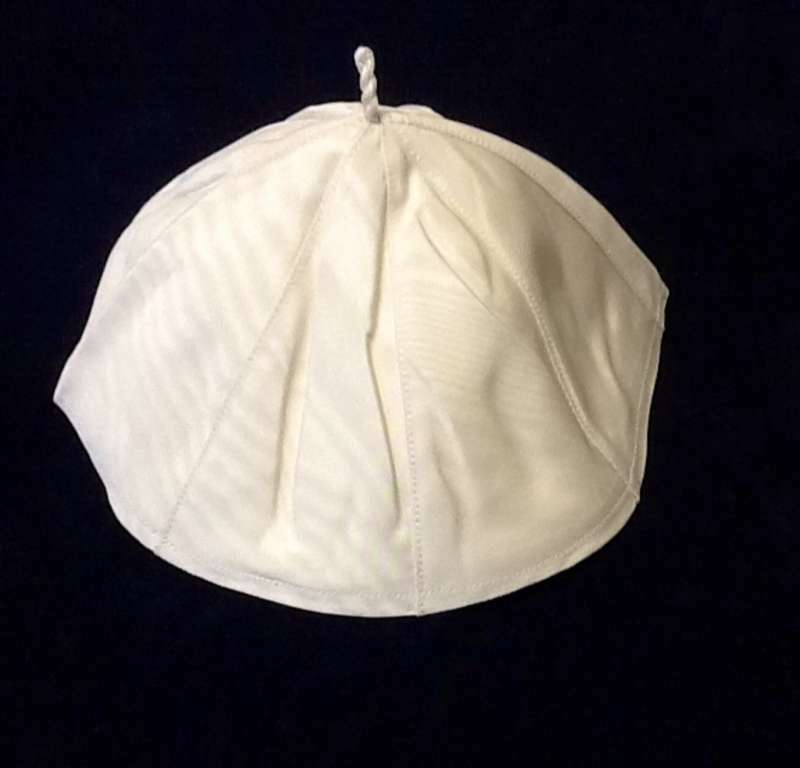 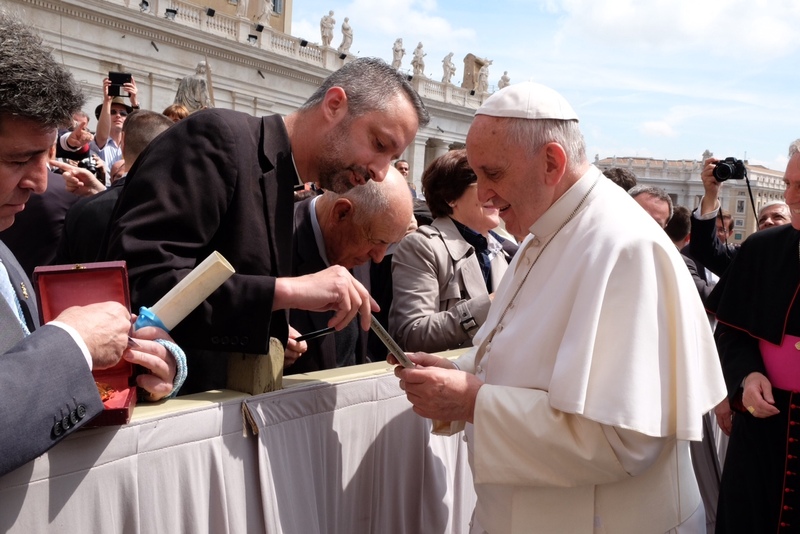 Papal Artifacts / News / March 13, 2018: Happy Sixth Anniversary, Our Holy Father, Francis! 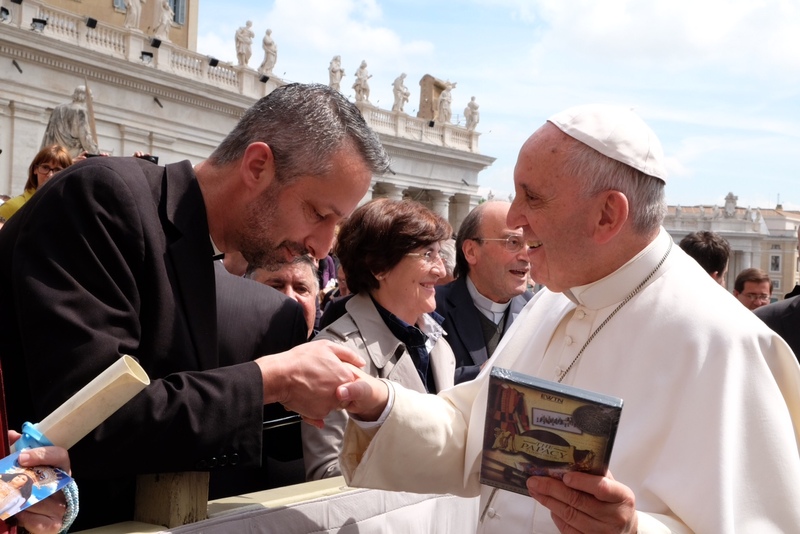 Papal Artifacts celebrates with our Church the sixth anniversary of Our Holy Father, Francis. 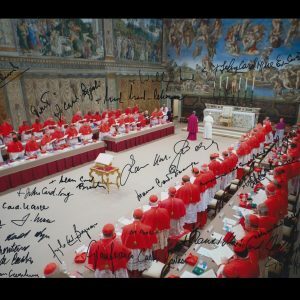 The Papal Artifacts’ Collection is filled with stories going above and beyond descriptions of the items themselves amassed by Father Kunst over the past twenty years. 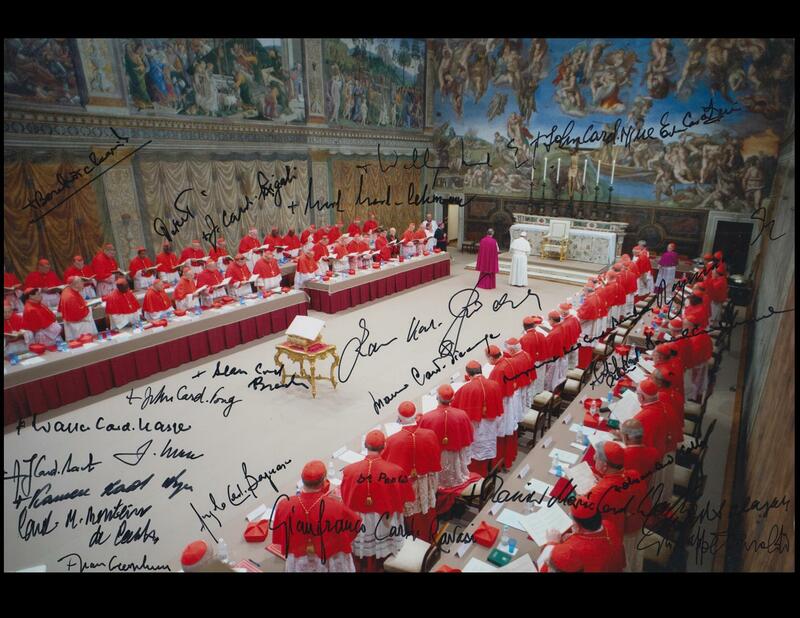 They involve papal audiences with Saint John Paul, the acquisition of a chasuble and zucchetto worn by him, Swiss Guard uniforms that not even the archives own, con-celebrating Mass with John Paul II, as well as attending his beatification and canonization, and meeting the family of the man known as the sun ray of God’s Love, Pope John Paul I. 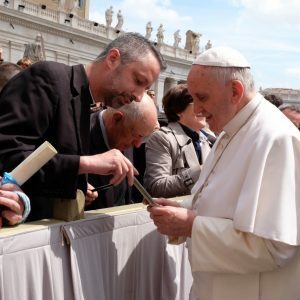 There are items so rare they should not even exist and relics of popes and other saints in our Church. 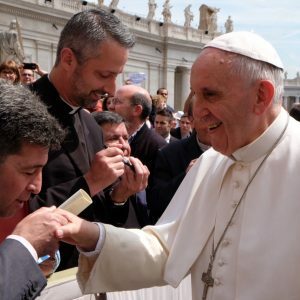 Last year, another story joined the, “Can you top this” list. 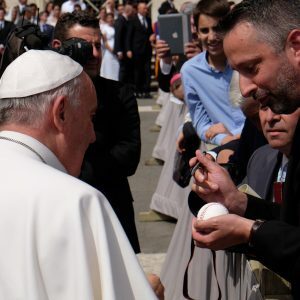 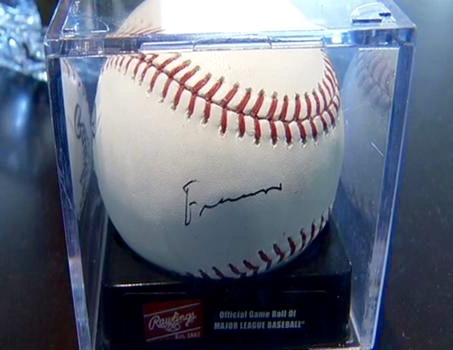 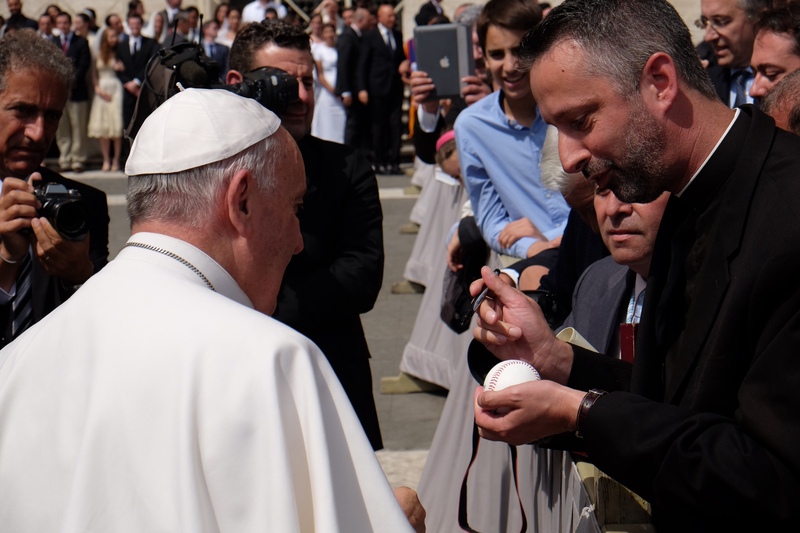 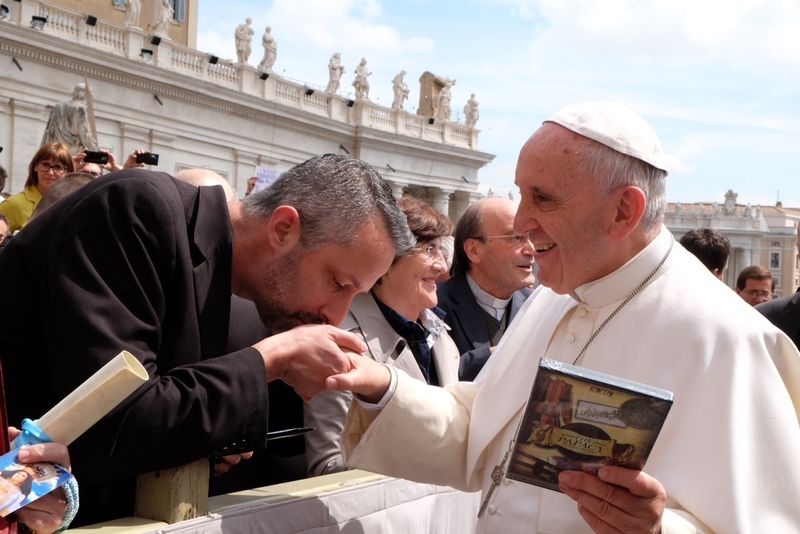 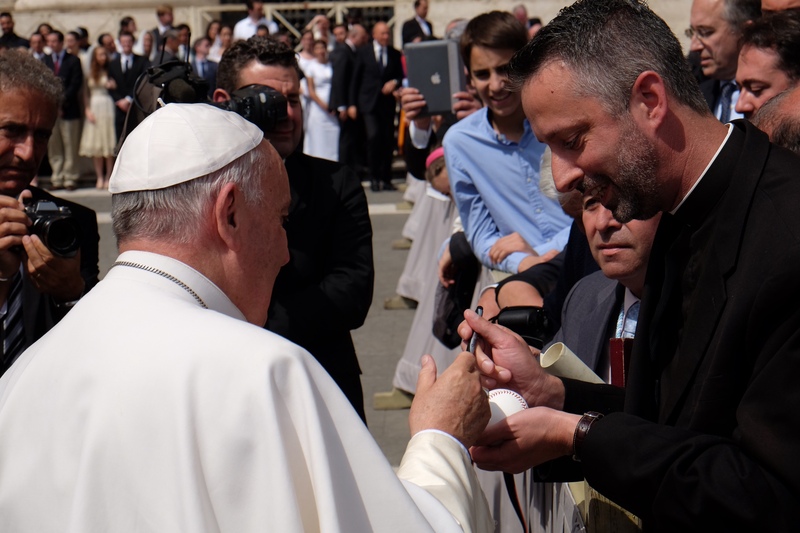 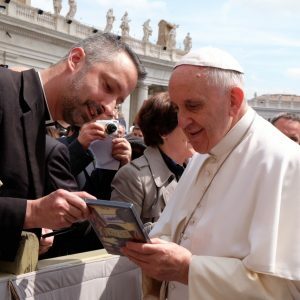 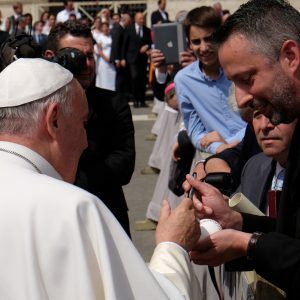 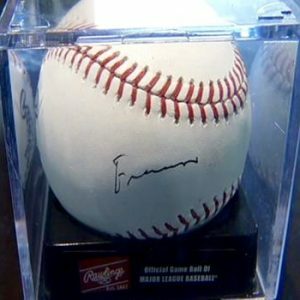 While in Rome, Father met Pope Francis, was able to converse with him for a few moments, offer the Pope a copy of the EWTN program about his Collection, which he facilitated, and walk away with a baseball signed by the Pope. 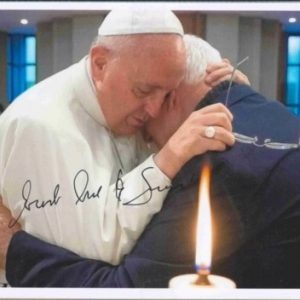 In this case, pictures really are worth a thousand words! 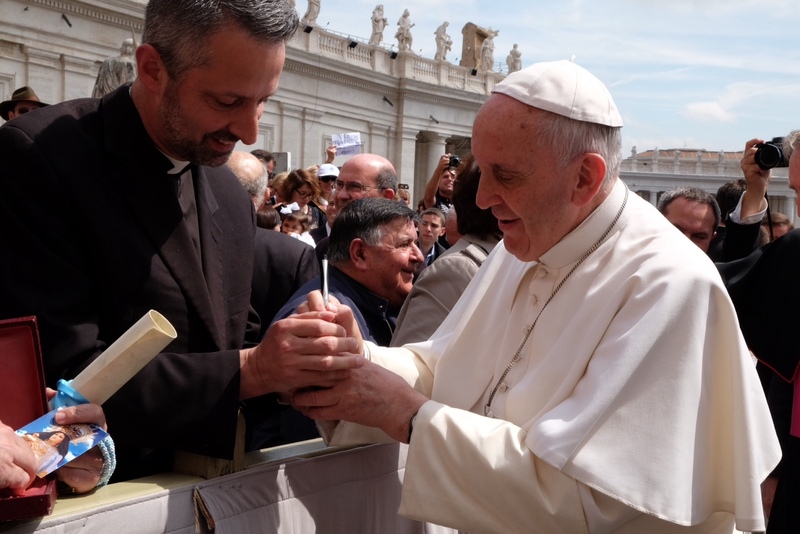 Father Richard Kunst reacting to Pope Francis signing his baseball. 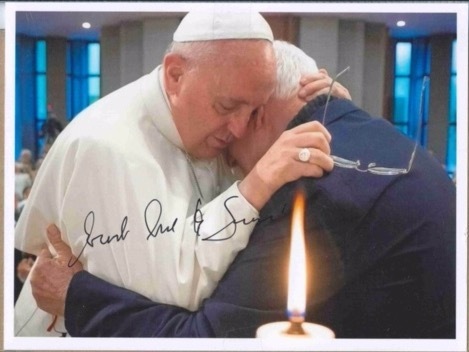 He did so in a personal letter to Msgr. 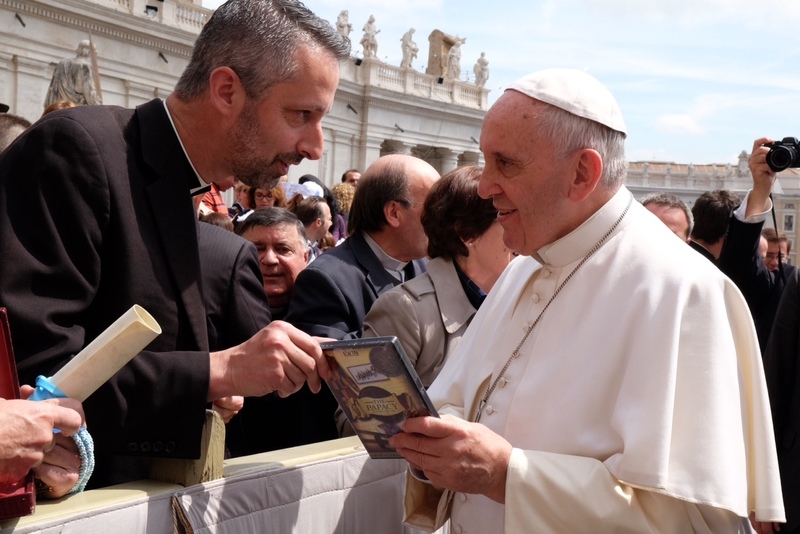 Dario Vigano, prefect of the Secretariat for Communications, on the occasion of the presentation of a series of 11 small books on “The Theology of Pope Francis,” written by the same number of theologians, the Vatican said. 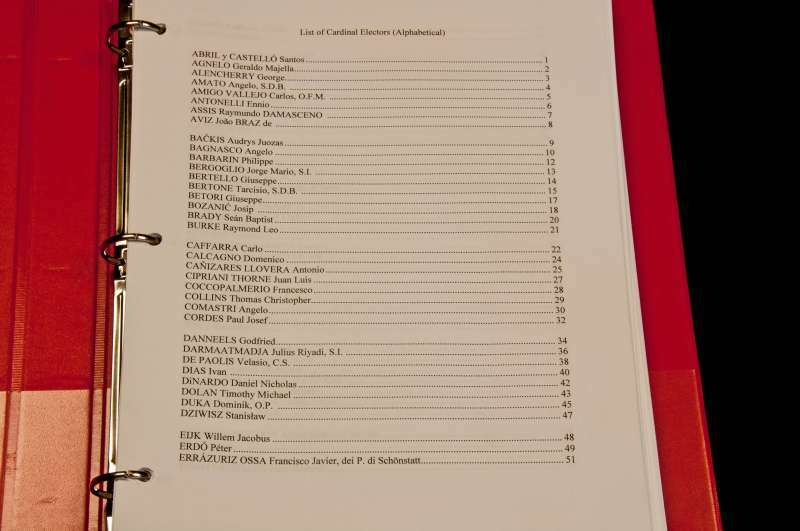 The collection was edited by the Rev. 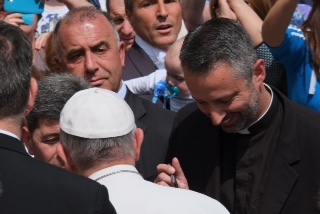 Roberto Repole, president of the Italian Theological Association. 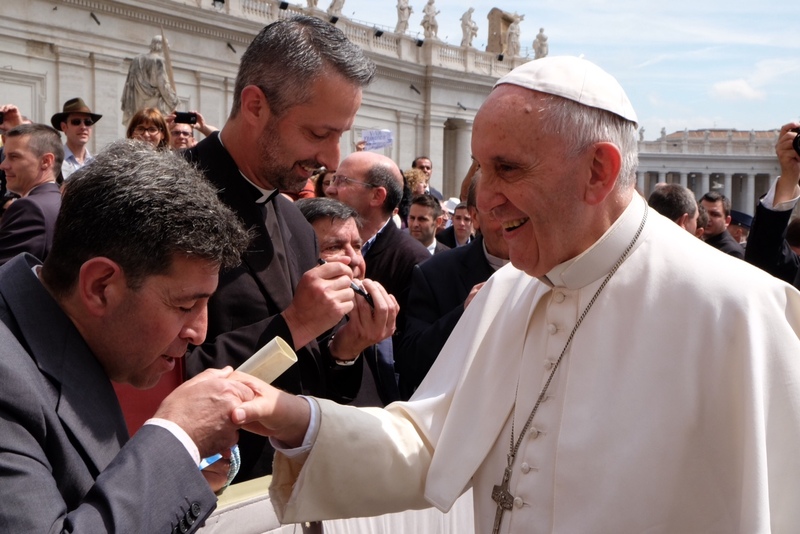 In the letter dated Feb. 7 and made known today by Msgr. 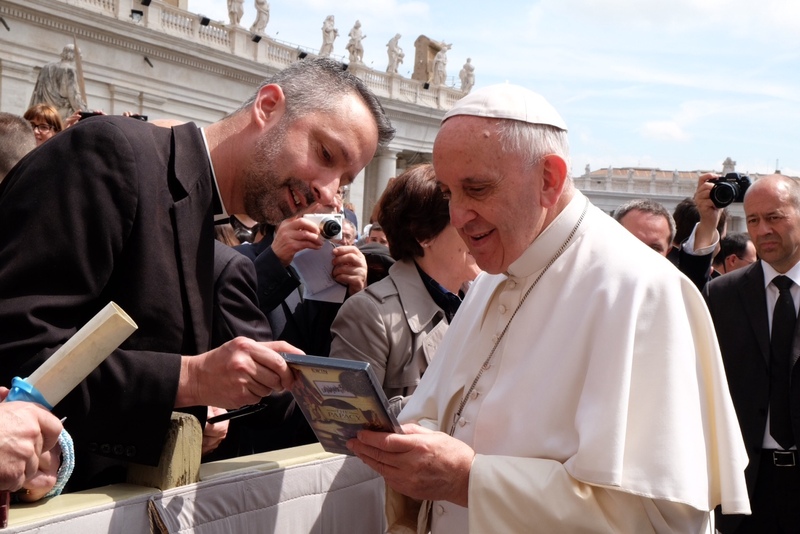 Vigano during a press conference for the presentation of the books in the Sala Marconi of Vatican Radio, Benedict welcomed the publication of these volumes for setting the record right about his successor. 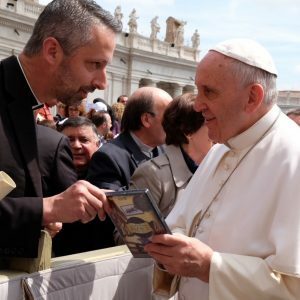 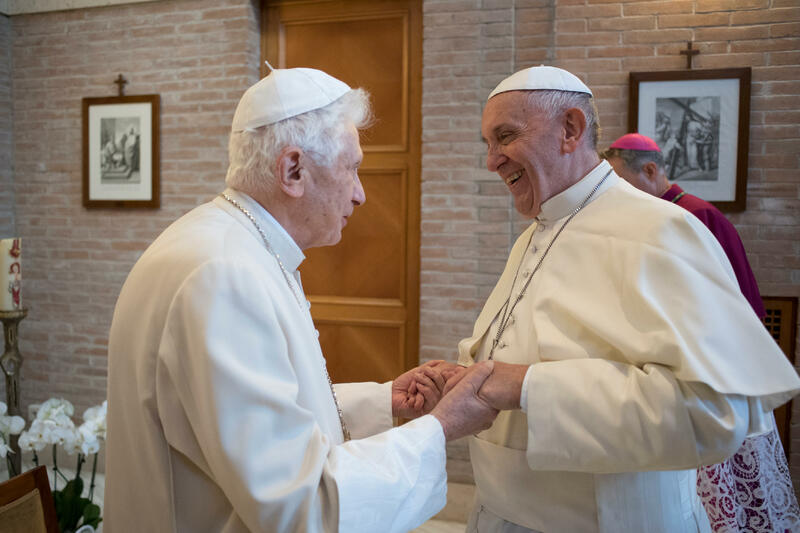 The collection is published by the Vatican Publishing House and its new head, Brother Giulio Cesareo, O.F.M.Conv., revealed that the series will be translated into English, Spanish, French, Portuguese, Polish and Romanian. 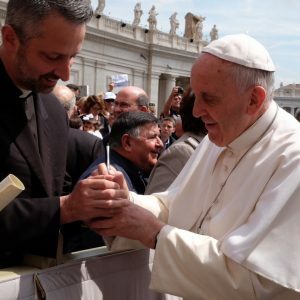 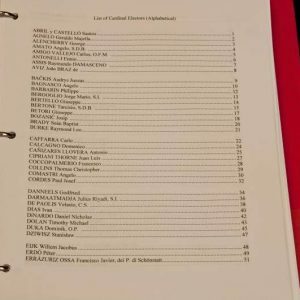 This unexpected letter is an important defense of Pope Francis against all those, including some cardinals, bishops, priests and theologians, who allege that Francis lacks the necessary philosophical and theological preparation, with some even accusing him of heresy, and charge that his pontificate is not in continuity with that of his predecessor.